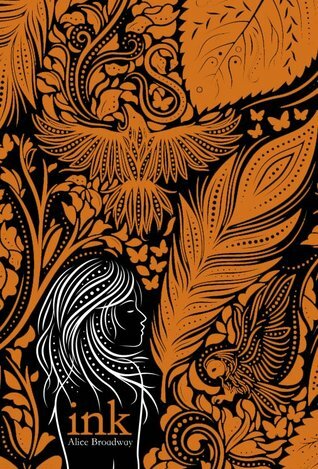 This is a fast-paced, expertly structured narrative of a few intense months in the life of seventeen-year old Nor Blackburn who discovers who she really is-a seventh generation witch-and what she can accomplish with her magic. Aware of her powers as a witch and the pain they can give her and others, she’s been spending her time trying to be invisible and acting like a normal teenager, even falling in love. Although she lives with her loving grandmother-who happens to be something of a giant and a healer-and has good friends, her fear and isolation lead to her cutting herself. But that cutting really started earlier with her mother’s magic that caused Nora’s skin to bleed and burn. The mother, Fern Blackburn, has abandon her daughter, and for this Nor is thankful. 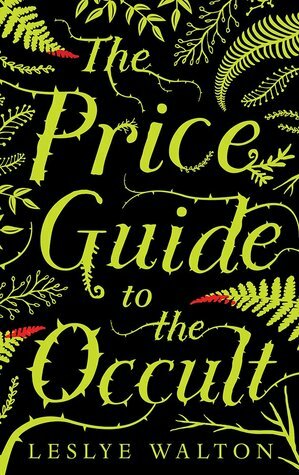 But suddenly a book of magic spells-The Price Guide to the Occult-written by the mother, appears on bookshelves and makes Fern famous, this witch who can manipulate the minds of others. Simultaneously, dangerous and destructive things begin to happen on Anathema Island, the ancestral home of the Blackburn women, as Fern comes back to deal with her daughter. 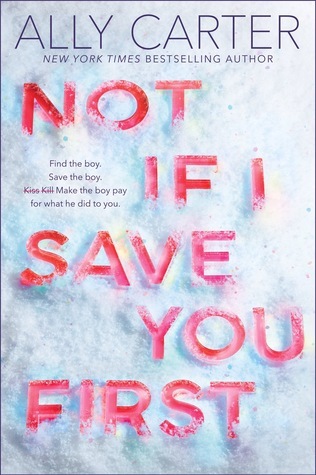 Will Fern continue her evil and destructive ways, full of blood and death, to get what she wants, or will Nor, who finally learns all that she can do-and do for good-be the eventual survivor in a story that pits evil against the good that resides in this exceptional yet quite typical teenage girl. The Price Guide is a well-written, easy to read, exciting and often intense story (for mature readers) that has it all-mystery, the occult, both white and black magic, a love story, friendship, loyalty, and protection, blood and gore, danger and adventure, as well as violence, family struggles and even zombies. At the center of the story is a teen (a neat kid despite the “burdens” of her magic) who discovers what all she is and can be, and how to cope with so much that has gone wrong from a past that could haunt her even though her mother is gone. Spite, anger and revenge collide in this story of young love between the POTUS’ son and the daughter of the Head of Secret Service. After six years apart and hundreds of unanswered letters, the last person Maddie “Mad Dog” Manchester wants to see is her former best friend Logan. Logan is, however, the only person on the mind of Wolf, who has been waiting for the opportunity to kill the President’s son. Maddie is the only person who can save Logan, and the last person who wants to. After all, he should have written back. Maddie is, however, the daughter of an agent, and has many skills along with a keen wit at her disposal. The absolute solitude and desolation of the Alaskan wilderness, particularly during a dangerous ice storm, shines as bright as the Alaskan moon in this novel of survival and courage. Maddie’s six-year period of isolation and perceived abandonment excuse her strong, tumultuous emotions toward this now sixteen-year-old heartthrob, even if it takes him a while to realize just how well she knows the land and her father’s expertise. No one has a chance in this story; not Wolf, not Logan, and especially not Maddie. An artistically woven tale of the present, the past, and the place between life and death. Donovan Turner is in the hospital fighting for his life while his girlfriend Bee is desperately trying to figure out what happened by recording his every utterance. The last she knew, Donovan was meeting with his father to discuss their destructive relationship. But now Turn, as she calls him, is caught between the reality of what happened that dark, rainy night and the dream-like fantasy world he now finds himself in. Did he cause his father’s death? The fantasy world Donovan is trying to find his way back from is filled with individuals from his past. He doesn’t quite remember them, yet he knows he needs to get back to Bee. His phone is dying, he is being chased by a strange force, and those who seem to help him are actually pulling him in deeper into this strange place. He uses the last few minutes of battery life to phone Bee, but that phone call is really just broken sounds and words Bee clings to by the side of his hospital bed. Bee writes down each sound and word and bit by bit it starts to make more sense as she visits those who know Donovan. The police want the diary where she keeps all this information, but will they use the contents to clear Donovan’s name or will it confirm only what they suspect happened that night? In Leora’s town of Saintstone, every truth about each person is tattooed on the body, including names (“birthmarks”), family trees, tattoos chosen by the individual at the age of sixteen, and a marking of a crow signifying the worst crimes committed are all. These tattoos give Leora a sense of security because no one has any secrets. As she walks down the street, she can read each person’s story. Once a person dies, his or her inked story is taken and bound for all to know for the rest of time, unless the government decides that the story should be forgotten. In those cases, the story is destroyed. Leora’s life has changed significantly as her father has died. For as long as Leora can remember, her father has been considered one of the best people in her community. After his story is bound, Leora finds out that his book has been confiscated for investigation, and she begins to learn secrets that had been hidden, leading her to question so much about her life. Alice Broadway has expertly crafted a story that mixes magic and faith in a way that will cause readers to consider their own and society’s prejudices. In the end, Leora has to face the truth that not all is what she believed. In some ways, Theo seems to have it all. Striving for a scholarship to Stanford, the senior’s grades are excellent, he’s captain of the Ellis Hollow Diving Team, and he has a supportive circle of friends including Iris, who he would like to consider his girlfriend. But Theo is also an orphan. His father died of an apparent heart attack several years after his mother died when a fire consumed their home. Theo has been living with his grandfather, who has been dealing with the deaths by drinking. Theo has many gaps in his memories, but there is one thing of which he is certain. He started the fire. When he is assigned a school project with classmates Iris and Les that requires them to research their family trees, Theo begins to experience flashbacks, and he consults his father’s best friend, his Uncle Phil, who is a psychiatrist. Uncle Phil assures him that he is still experiencing post-traumatic stress syndrome. The PTSD is being exacerbated by the anniversary of his father’s death and an upcoming important diving meet that will determine if he will attend Stanford, thus fulfilling his mother’s legacy. The class project is equally difficult for Iris, whose mother also recently died. As information about his parents is mysteriously revealed to Theo, he and Iris begin to investigate further. And that is when reality becomes as terrifying as the flashbacks from that fateful night. Oakland, California, is a city known for its diversity and acceptance. Yet, like any large American city, it is a city of contrasts: biting poverty and excessive wealth, run-down schools and posh boutiques, judgment and of forgiveness. The Oakland Sasha knows includes attendance at a small private school, a two-parent household in a middle-class neighborhood, and a tight knit group of self-proclaimed nerdy friends. Diagnosed with Asperger’s as a child, Sasha’s obsessions include skirts, Russia, the color purple, and language. 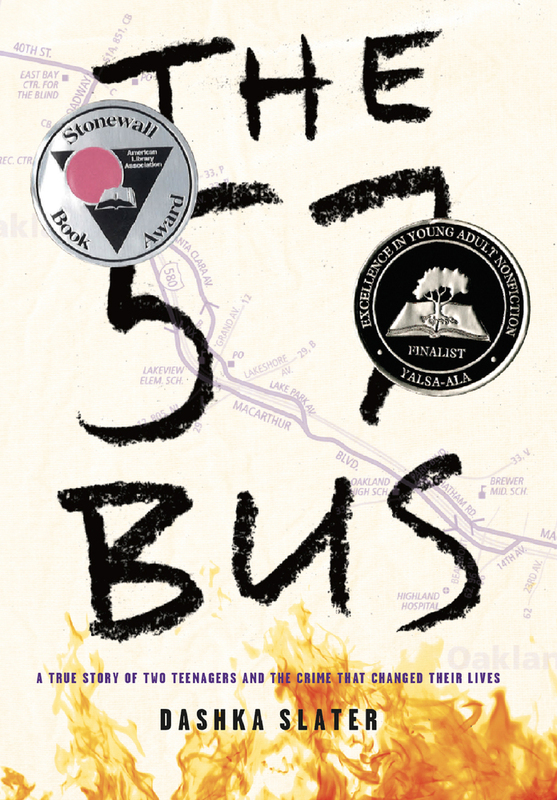 But it is an infatuation with riding the city buses that places Sasha in the path of another Oakland teen. Richard’s Oakland is starkly different than Sasha’s. His is much more violent and a lot less stable. His Oakland is a large public high school, an overcrowded house of extended family, and a mother who works more than one job. Yet, Richard is determined to get his life back on track after spending time in a group home. He wants to graduate, and he reaches out to a school officer for help. However, the Oakland he knows makes escaping gangs and guns difficult, makes it hard to avoid cops who arrest boys like him much quicker than in other neighborhoods. As bus 57 winds through Oakland’s streets, the lives of these two very different teens intersect. The event that transpires on that shared ride will have dire consequences for both of them. But is Richard’s act a horrific crime or a horrible mistake? Should he be tried as an adult or should it be settled in the juvenile system? 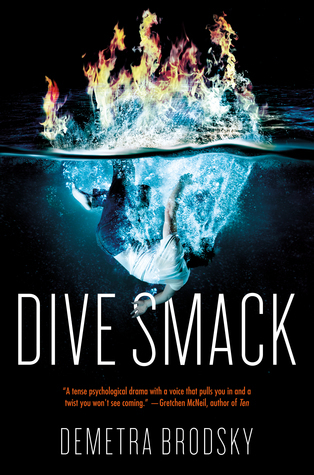 Slater, who first shared this true story in The New York Times Magazine, weaves together the disparate details of Sasha and Richard’s lives in ways that will cause readers to have empathy for both the victim and the assailant. It is impossible at times to know who is not a victim. In this dystopian novel, the Axis Forces have won World War II and divided the United States among themselves: the western states (WAT) are under the control of the Japanese Imperial Court, the eastern states are governed by the Nazi regime, a few middle America states are under the rule of Italy. After eighty years under the totalitarian government in the WAT, defined by public executions and incarcerations in Alcatraz under inhumane conditions, resistance movements have been gathering strength. Ren Cabot’s mother was executed for running a printing press, and in her memory Ren has become Viper, an articulate, inspirational writer who demands change. It makes him a hero to his people, and a target to his government. Ren isn’t the only one with a secret identity. In this conformist society, anyone with even an opposing thought keeps it secret. Who should Ren trust? Fraulein Greta Plank, a government employee from the eastern territories in all her Aryan perfection? Jay, who has words from one of the Viper’s essays tattooed inside his lip? Bluefin, a Japanese citizen who nurses him with such care after he is tortured? In Ren’s world should he trust anyone at all, especially when that person could be an Anomaly or one of the Ronin Elite? These modified humans have super-powers that can be used to destroy, like Major Endo who can crush bones and boil blood with a single touch. 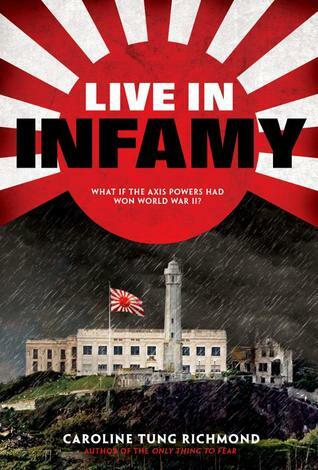 Live in Infamy provides action and adventure for the reader while stressing the importance of the power of the written word in uniting people for a cause. Both Ren and his mother use words to resist the injustice they see in their world: an important message for today. Ren, his mother, and other characters also portray the personal cost of standing up for one’s convictions. When you willingly choose to move to a place as unforgiving as the Lava Flats, you would expect to be left alone. At least that’s what Kestra Dallisor thought when she made her home in the desolate waste lands, leaving the court of Lord Endrick and the political machinations of her father, Sir Henry. For three years, Kestra, her protector Darrow, loyal Cook, and a string of handmaidens-many Kestra chased off in their first month of service-carved out a plain and happy existence. But when a letter arrives from Sir Henry welcoming her back to the capital of Highwyn and Woodcourt, her family home, Kestra cautiously embarks on the trek to return. Kestra is attacked on the road by Endrick’s and her father’s enemies, and captured by the rebel commoners knowns as the Coracks- named for a sturdy weed growing in the kingdom. Bloodied, bruised, and her protector dying from a stomach wound, she is offered a choice- either return to Woodcourt and find the mythical Olden blade missing nearly twenty years or be killed alongside Darrow and her handmaiden. Kestra agrees to find the dagger, which is said to be the only weapon able to kill the seemingly immortal Endrick, and returns to the road with two rebels; Trina, a girl with no home and little history, and Simon, once a friend to Kestra during their early childhood until an accusation of theft from Kestra tossed him in the dungeons. The three struggle nearly every step of the way, from maintaining their cover as a lady and her servants to simply trying not to kill one another. Despite their initial mutual hatred, the group begins to understand one another, especially as Kestra sees for herself the effects of Endrick’s tightly controlled rule. But getting to and through the doors at Woodcourt turn out to be the easiest steps in the plan. A return to court is a return to the enemy and an inability to decipher real friends from double agents. 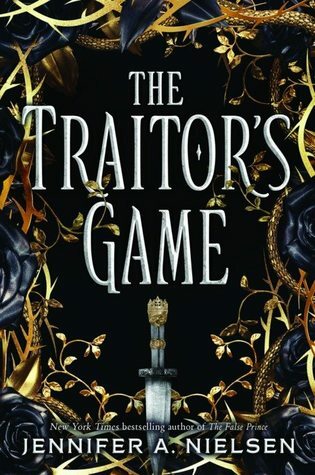 There are no winners in the traitor’s game, Kestra knows, and too many questions remain- how to find the dagger, how to get it out of the city and how to keep her own traitorous affections for Simon from ruining her only chance to save Darrow and herself. Written in the voices of both Kestra and Simon, Nielsen crafts a wonderful story of real characters; good guys you may not like, bad guys that have some humanity and degrees all between. In this beginning to a new series, readers are introduced to a tumultuous world and those seeking to change it while finding a place within it for their own.